Yogi Berra was 90. He spent almost all of his 19-year career with the New York Yankees, winning the World Series 13 times and MVP award thrice. unrelated....hey Mike is it true Darren B Lamb has left chumfm to be your permanent co-host onthe podcast? please confirm. he is out at chumfm, he even called in this morning to say see ya. That's way unrelated. That's what the Open Mikes are for! Does this Lamb sell condos? Definitely transcended sports like few others, but the fact that he really didn't say most of his famous 'quotes' is being ignored or explained away as part of his legend. A real shame that his incredible baseball legacy is being presented as secondary to the 'quotes', cause wow, what an unprecedented career. Yogi was my Mom's favorite player until the BJays started. "Nobody goes to that restaurant because its always crowded". He meant a lot to Baseball, the past, the present & the future. What a guy. What a guy. Used to love hearing about him as a boy. Perhaps his quotes are now getting mixed up with Buddha's, Einstein's, 'Osho's,' and Celine Dion's but he came up with some doozies. 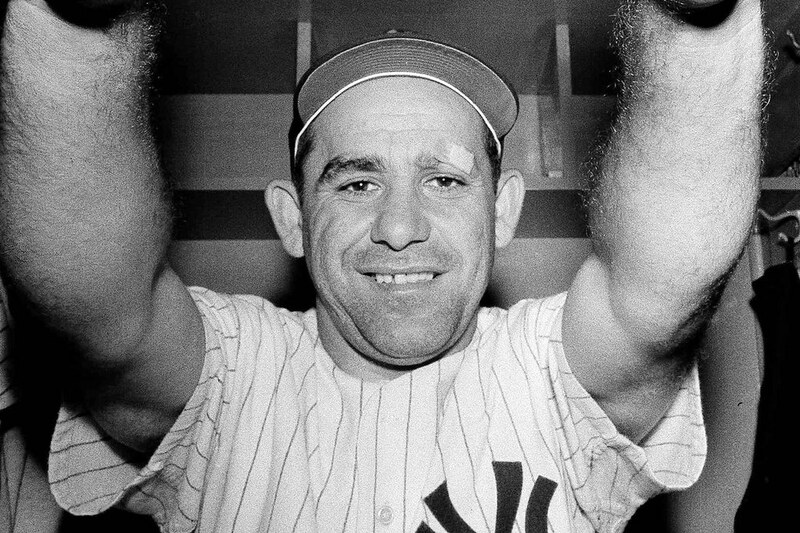 They don't make them like Yogi anymore. Never crass or demeaning (like Trump etc. ), and always a hint of innocence in his quotes.